This 1 day Communication Skills Course provides your team with a powerful insight into how effective communication works. 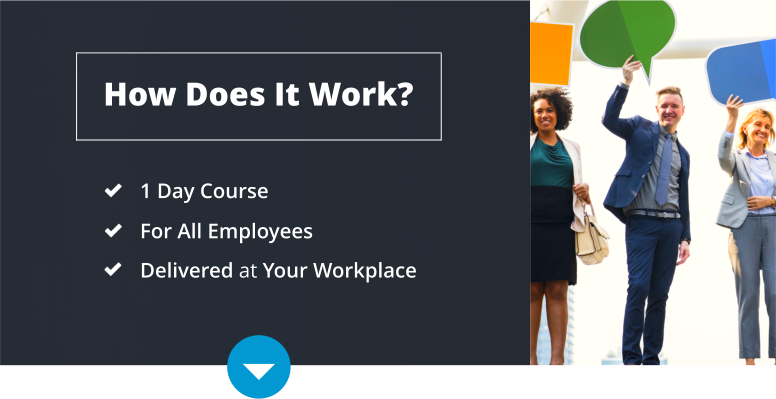 Learn how to engage with your customers or communicate with fellow employees in the workplace more successfully. An essential part of becoming an effective communicator is understanding the power of body language. This course will show you how to read people and how to apply your own body language skills to communicate more effectively. You will learn how to convey your message clearly, concisely, and assertively whilst gaining the ability to listen to others. Discover x4 powerful communication styles and their impact. Develop the power of body language and the art of building rapport. Communicate confidently with customers or fellow work colleagues. Gain effective listening skills and key response techniques. Communicate effectively with introverted & extroverted people. Learn to become a good communicator. Communicate better with passive or aggressive people. Anyone seeking to make a great first impression. Engage better with customers or fellow colleagues. Looking to Book On-Site Training for Your Team? Fill out your details to find out more about Communication Skills Training - In-House Courses.